What Do Reptile Breeders Do? Reptile breeders produce and sell a wide variety of reptile species, including turtles, snakes, and lizards, to pet or commercial markets. They may choose to specialize with a single species of interest or breed several species. Popular areas of specialization include turtles and tortoises, snakes, and lizards. Many breeders narrow their focus even further by becoming experts at producing one specific breed within their species of choice. For example, a chameleon breeder may choose to specialize in producing veiled chameleons, panther chameleons, or Jackson’s chameleons. Reptile breeders can operate a small pet breeding operation or breed for national commercial-level production. Some breeders use webpages to advertise their animals to a large audience and offer cross-country shipping. They may also market animals to museums, zoos, and animal parks. In egg-laying species, breeders may hatch eggs in an incubator and closely monitor the young reptiles once they emerge. Reptile breeders must be familiar with the specific needs of the species that they are producing, such as ideal temperature and humidity levels, nutritional needs, and proper husbandry techniques. A thorough knowledge of genetics can prove particularly useful if a breeder is seeking to produce certain desirable color variations. Breeders should also be able to differentiate between young male and female animals so that they can provide the desired gender to their customers. Buyers can then choose a gender, which is especially important if they are seeking to breed their own reptiles when they reach adulthood. Reptile breeders must operate their breeding operations in accordance with any applicable state or local regulations, and these rules can vary among locations. Some states completely restrict breeding or owning certain reptile species, or may require special permits before any breeding is allowed. Investigate the rules in your area before starting a reptile breeding business. 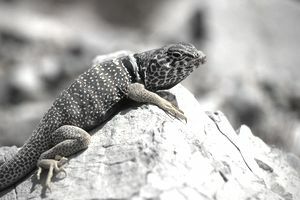 The total yearly compensation for reptile breeders can vary widely based on the rarity of the species they produce, the number of offspring produced per litter, and the retail value of each surviving offspring. Reptiles can be sold for hundreds or even thousands of dollars if they are uncommon or highly prized. Animals with rare body color variations are particularly sought after by collectors and breeders. When calculating their yearly income, reptile breeders must factor in the costs of doing business, especially the costs of maintaining breeding stock and appropriate habitats. Reptile breeders may spend a considerable amount of money on items such as UV lights, heated rocks, humidifiers, terrariums, lighting, food, supplements, and veterinary care. Many part-time or hobbyist reptile breeders maintain a full-time job in another field while supplementing their income with the profits earned from selling reptiles. Degrees: Many reptile breeders hold a degree in a field such as animal science, animal reproduction, or biology. Coursework: General courses include anatomy, physiology, reproduction, genetics, nutrition, and behavior. Experience: Some reptile breeders learn through practical experience with the animals they keep as pets. Others, such as professional herpetologists or animal researchers, breed reptiles either as a hobby or as part of their research projects. Honest: Be truthful with customers about their reptile, such as its health, species, and gender. Respectful: Have genuine respect for animals. Observant: Recognize and assess ailments and conditions common to the breed or species. Gentle: Handle small reptiles carefully to avoid fright and injury. Reptiles' popularity as pets has grown recently, a trend that is expected to continue for the foreseeable future. The market for reptiles has shown continued strength, with collectors and breeders demonstrating a willingness to spend top dollar for quality specimens despite downturns in the economy. Breeders who take the time to establish a reputation for producing quality reptiles should continue to find demand for their animals as pets and replacement breeding stock. If you are interested in starting your own reptile breeding business, you will need to determine the type of species to breed, the necessary equipment, any required state permits, and the cost. Breeders work primarily work from home or at a breeding facility. Reptile breeders work flexible hours, while continuously maintaining the well-being of their reptiles. Hours may include nights and weekends, depending on the needs of the reptiles. If you are looking for a career working with reptiles, you may want to research popular job sites Indeed and Glassdoor. These sites also provide tips for resume and cover letter writing, as well as techniques for mastering an interview. Look for networking opportunities that can lead to employment. Sources include Reptile Magazine and the National Reptile & Amphibian Advisory Council (NRAA), which provides a nationwide listing of organizations, clubs, and societies.